This technique for perfect fried eggs has been adapted from the ultra-meticulous French chef Fernand Point (1897-1955). His approach involves very gently and slowly cooking the egg to retain its delicate purity. A technique that is somewhere between frying and poaching in hot butter. This technique makes spectacular fried eggs and demonstrates that simplicity and purity often yield the best dishes of all. First let’s talk about the perfect fried eggs. A French technique that very slowly cooks the eggs in butter. This method was developed by Master French Chef Fernana Point (1897-1955) at his three Michelin Star rated restaurant La Pyramide in the 1950’s. In the first chapter, Luxe, Calme et Volupt, Chelminski details how Loiseau’s mentor, the infamous Chef Fernand Point would test visiting chefs with a challenge to show him how they fried a simple egg, declaring that the easiest dishes were often the most difficult to prepare. When, inevitably, the chef insulted the egg with the sizzling hot surface of a frying pan, Point would cry, “Stop, unhappy man – you are making a dog’s bed of it!” And then he would proceed to demonstrate the one and only civilized manner of treating an egg. Very slowly, very gently, and swimming in butter of course. * Use the freshest and best eggs you can find. When frying more than one (1) egg at a time, add eggs all at once. Crack eggs into small bowls and add them to the skillet. Preheat the frying pan. Place a small non-stick frying pan over the lowest possible heat on your stove (if using gas, you should barely see the blue flame). Add the butter and let slowly melt, making sure it does not foam and is not sizzling. When all the butter has melted, crack the egg into a small bowl, dish, or saucer (taking care not to break the yolk and to remove any shell fragments). Using gas - you should barely see the blue flame. Butter in the pan waiting to slowly melt. Gently slide the egg out of the dish into the frying pan and cover with a lid. The lid traps heat and steam so that the egg cooks from above as well as below. Continue cooking, approximately 5 minutes, until the egg white solidifies from transparency into snow-white cream; the yolk will thicken slightly as it heats. How quickly the egg cooks is dependent on how low you have the heat. Do not flip the eggs but leave the egg sunny-side up and natural. When your egg is done, slide cooked egg onto a serving plate. Sprinkle with fresh cracked pepper, salt, and serve. Egg in frying pan before placing lid on top. After approximately 5 minutes, fried egg is cooked. Time to remove perfectly cooked fry egg from pan. Heat a non-stick skillet (or a regular skillet greased with a small amount of butter, margarine, or cooking oil) at medium heat until just hot enough to sizzle a drop of water. Or use a regular skillet and add a small amount of butter or oil. Break eggs and gently slip into the skillet. Immediately reduce heat to low. Cook slowly until whites are completely set and yolks begin to thicken, but are not hard (turning eggs gently to cook both sides or adding a small amount of water and covering with lid to cook tops of eggs). Reduce butter to just enough to grease pan or use light coating of cooking spray and/or nonstick pan. In a frying pan over medium-high heat, heat butter until just hot enough to sizzle a drop of water. Break and slip eggs into pan. Immediately reduce heat to low. Cook until edges turn white, about 1 minute. Add 1 teaspoon water (for more eggs, decrease proportion slightly for each additional egg being cooked). Cover pan tightly with lid to hold in steam. Cook until whites are completely set and yolks begin to thicken but are not hard. Remove from pan and season as desired. In France, this basic methods of baked eggs is called oeufs en cocotte. People love this dish. Baked eggs are both comforting and sophisticated. 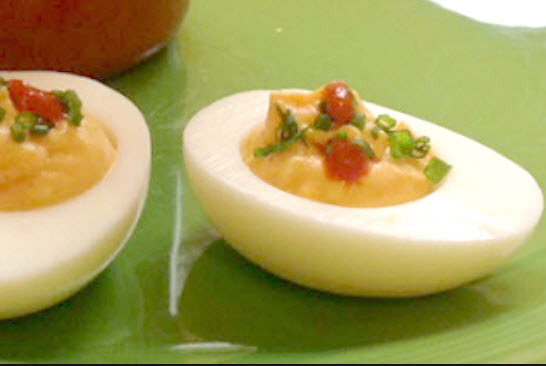 The eggs come out looking beautiful in their individual ramekins and are easy to serve. Very informative article and good instructions for cooking eggs various ways. I personally prefer the whites cooked even over the yolk do not care for sunny side up. Thanks for all the information. 10/10 do not recommend “frying” an egg the way described on this page. The most disappointing fried egg I’ve ever had. The yolk is some sort of weird combination of boiled/scrambled. And I followed the recipe verbatim. I am not sure of what you did, but I always cook my fried eggs this way. This is the closest recipe I have seen to the way I make fried eggs. I am a good baker and cook but I can easily claim that I make the best fried egg in existence. I don’t know what this technique is called because it’s just really not done for the most part. I guess it’s more like a hack really. So my mom is from El Paso and there it is customary to be given flat stacked enchilladas and any good authentic Tex mex place there gives you the option to add a fried egg on top. When Mom mother made them at home she would use the pan of oil she cooked her tortillas in to simplify things and make one less dirty pan vs making the eggs in their own pan. This is not the proper way to fry an egg for me. White and yolk must be cooked completely and the yolk broken while cooking. Otherwise for me the egg is partially raw! This version of fried egg would be known as serving “sunny side up” with the yolk still partially runny. Everyone has their own preference for the yolks.